A bill sponsored by Rep. Bill Jenkin modifying current provisions relating to how drivers approach emergency and work zone vehicles was unanimously approved by the state Senate this week. Per the Washington State Department of Transportation (WSDOT), Washington state averages almost 850 highway work zone injuries per year. In the past five years, there have been approximately 7,564 collisions in work zones. The top three causes of work zone crashes are distracted and inattentive driving, following too close and speeding. House Bill 1469 would require drivers passing an emergency or work zone vehicle to reduce their speed, change lanes and move away from the vehicle. Drivers would need to reduce their speed to at least 10 miles-per-hour below the posted speed limit if changing lanes, or moving away from the vehicle, is unsafe. Jenkin's bill unanimously passed the state House of Representatives and the state Senate. It now heads to Gov. Jay Inslee for final signature. Today, Representatives Dan Newhouse (R-Washington) and Chellie Pingree (D-Maine), the co-chairs of Bipartisan Congressional Food Recovery Caucus, welcomed President Trump’s announcement that his administration will focus on food waste reduction throughout April. The president’s official message states that food waste “undermines environmental stewardship and the ability of Americans to lead healthier lives” and announced the launch of “the Winning on Reducing Food Waste Initiative”— a collaborative effort by the U.S. Department of Agriculture, Environmental Protection Agency, and Food and Drug Administration. In 2015, the Environmental Protection Agency (EPA) and U.S. Department of Agriculture (USDA) launched the first-ever national food waste reduction goal, aiming to reduce food waste by 50 percent by the year 2030. In 2018, USDA, EPA, and the Food and Drug Administration (FDA) also came together to sign a Memorandum of Understanding to better coordinate their work on food waste reduction. The bipartisan Congressional Food Recovery Caucus was founded in 2018 by Congresswoman Chellie Pingree and former Congressman David Young (R-Iowa) in order to promote food waste reduction across the food supply chain; provide educational opportunities to congressional members and staff; support efforts to reduce food waste at federal agencies; and collaborate with diverse stakeholders to highlight food waste success stories. Congressman Dan Newhouse (R-Washington) became the Republican co-chair in 2019. 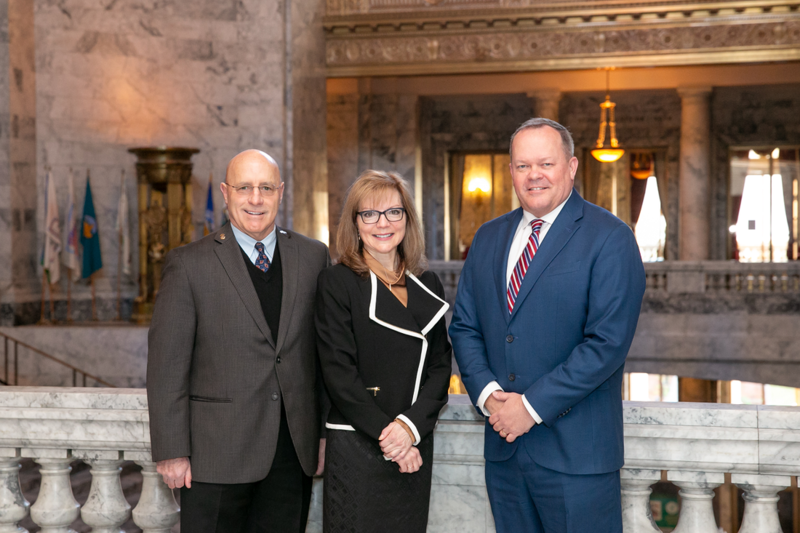 A bill sponsored by Rep. Kelly Chambers to create a specialty Washington Wine license plate has been approved by the Washington State House of Representatives. Under House Bill 2050, a fee of $40 would be charged for the plate, which would feature a scenic landscape of Washington wine country. Funds generated from the sale of the plate would go to the Washington Wine Commission to support research and collaboration with the wine science facility at Washington State University's Tri-Cities campus. House Bill 2050 now heads to the Senate for further consideration. ​U.S. Senators Patty Murray (D-WA) and Maria Cantwell (D-WA) and U.S. Representatives Suzan DelBene and Dan Newhouse sent a letter to U.S. Trade Representative Robert Lighthizer calling on him to defend the U.S. polysilicon manufacturing industry from Chinese tariffs to save hundreds of high-paying Washington jobs. “We are writing to follow up on our previous letters to again emphasize the importance of immediately resolving China’s retaliatory duties on U.S. polysilicon exports as part of the on-going negotiations with the Government of China,” the members wrote to Lighthizer. In 2014, China placed tariffs on polysilicon materials, a key component in the production of semiconductors, solar panels, and other technology products, in retaliation for U.S. tariffs previously imposed on energy products from China. The move effectively locked U.S. polysilicon manufacturers out of the market, forcing the closure of REC Silicon at its Moses Lake plant, which relied on Chinese imports of polysilicon materials. In the bipartisan letter, the members of Congress called on the administration to find an immediate resolution to the dispute, highlighting that the ongoing tariffs threaten hundreds of skilled, high-paying Washington state jobs if they remain in place. 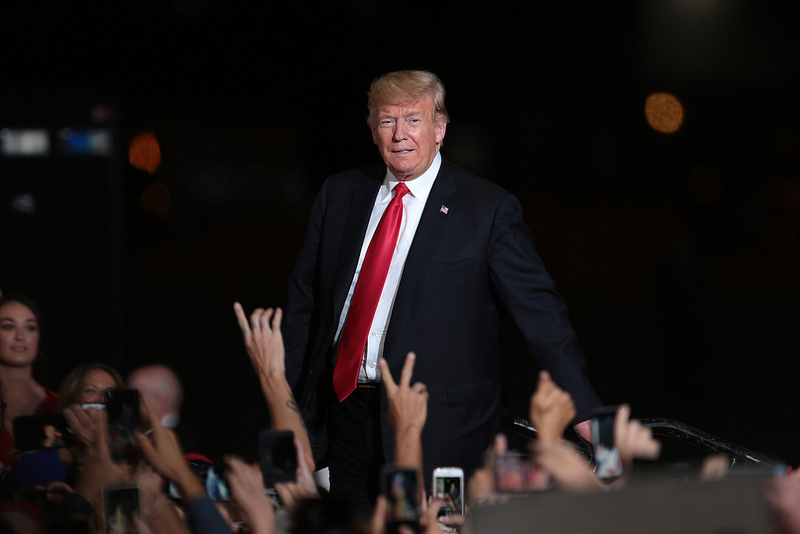 The members also sent letters to President Trump in September and July of 2018, underscoring the importance of negotiating an end to the Chinese tariffs. Sixteenth District Reps. Skyler Rude, R-Walla Walla, and Bill Jenkin, R-Prosser, will be hosting three town halls March 23. During the events, the lawmakers will provide an update on the 2019 legislative session as well as take questions from attendees. Those unable to attend are also encouraged to contact Reps. Rude and Jenkin with their questions, ideas, and concerns. The 16th Legislative District includes all of Columbia and Walla Walla counties, and parts of Benton and Franklin counties.